and noticed our 24 reviews which we are very proud of. Of perhaps this patient appreciated the content, descriptions and solutions to the variety of symptoms he was experiencing.Either way, we were happy he found us and look forward to supporting his posture and feet with custom orthotic inserts. 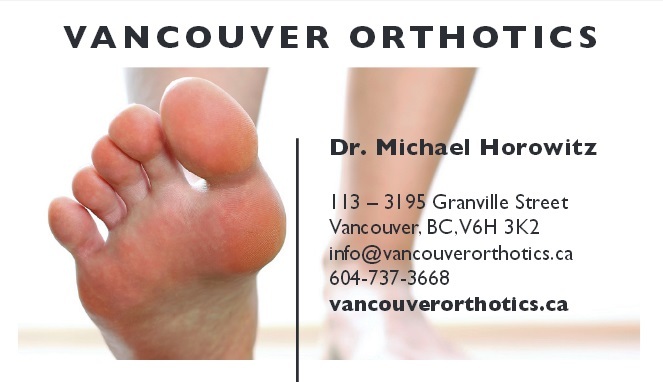 Is Vancouver Orthotics the "best reviewed orthotic clinic in vancouver"? We'll let you decide. But if you are reading this and you want to learn more, please contact us at 604-737-3668 or email info@vancouverorthotics.ca. Dr. Michael Horowitz will be happy to assist you to better health! Have a great Friday and weekend everybody!